No session data or Desktop Settings saved at Logoff? We came across this particular problem on about 30 of our Windows 7 PCs. They were all born from the same Gold image as the other working 300 or so desktops (we are about half way through our Windows 7 migration) but these few PCs all presented the same issue. We were seeing no Session Data, Desktop Settings or Logoff actions completing at User Logoff. Basic settings like default printers not persisting drew our attention to this fault and consequently we were led down a very, very dark alley of pain that would have made Smeagle wince. You will also see a similar script (actually the same one) under “Computer Configuration”. The same EmExit.bat script is called at both Logoff and Shutdown. 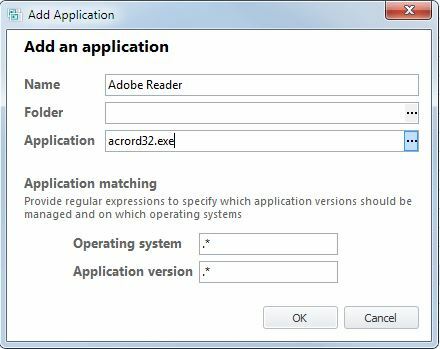 The agent refers to the parameter run against the script to distinguish between Logoff and Shutdown actions in your configuration. -l for logoff and -s for shutdown. Stay with me, here was the first head scratching moment. On our affected endpoints, there were no “User Configuration” Logoff scripts. Excuse me? No, none. We had already stripped the agent off and tried a re-install but whatever re-installation method we tried we still had no user logoff script. Even creating a separate logoff script outside of the AppSense environment wasn’t appearing….hmmm….something Microsoft faulty? 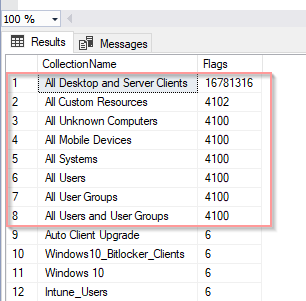 Which client-side extensions (CSE’s) of the Group Policy Object Editor contain User or Computer data in the GPO. Whether the User or Computer portion is disabled. Version number of the Group Policy Object Editor extension that created the Group Policy object. So what does the Microsoft GPT.INI have to do with EmExit.bat not loading? For those of you not in the know, the EM Core Service checks the GPT.INI on start-up to ensure the CSE for script processing is present. If it isn’t, it adds it to the end of the list of CSE’s. Compare that image with the one below on one of our faulty endpoints So we had different combinations of square and open/close brace (squiggly) brackets. The EM Core Service was corrupting our GPT.INI file and preventing it from processing CSEs correctly. We manually corrected the syntax in each of our GPT.INI files and everything started working again. I strongly suggest not just blanket copying the GPT.INI file among your end points – the version number will be unique to each client depending on what GPO Editor extension created that GPO. We got this far and after we handed this info to AppSense we were told this IS a known bug… arghhhhhh – “Why didn’t you tell us when we originally logged the call”? No bother, we din’t get upset, it was actually an interesting lesson to understand the EmExit.bat process. So, log into MyAppSense and lookup TN150694. This bug is fixed in later releases of EM, we were running 8.3.157 at the time. Subject = "AppSense EmExit.bat RegEntry Missing for '" & sUserName & "' On Computer '" & sComputername & "'"
Why don’t you add needed registry key instead of sending email? The missing reg key highlights that no user logoff scripts have been applied via group policy. We wanted to address the route cause of the problem and identify how many endpoints were affected – hence the email script. I have not tested “adding the reg key” manually but I wouldn’t be confident that this would work, the fact that the gpt.ini file would still be corrupt and not processing CSEs would still remain. Ben. So I have created the logon trigger with the conditions of Computer Name is equal to ****** and the registry key does not exist. I manually deleted the Logoff key from a single computer. However, the script is not running when the user logs on. Happy to give more advice but im not exactly clear on what you have tried and what you are trying to achieve.